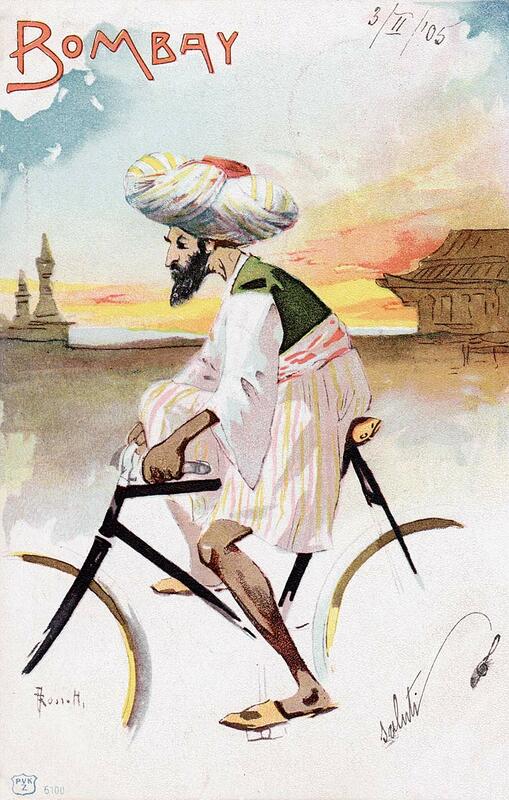 An early Italian or French postcard celebrating or advertising the city of Bombay. It also features a bicycle, then becoming popular in the city. But a careful look at the background suggests nothing distinctly Indian or from the city named; the building looks Chinese of Japanese. As with many early postcards, Asian icons and motifs were often mixed up.